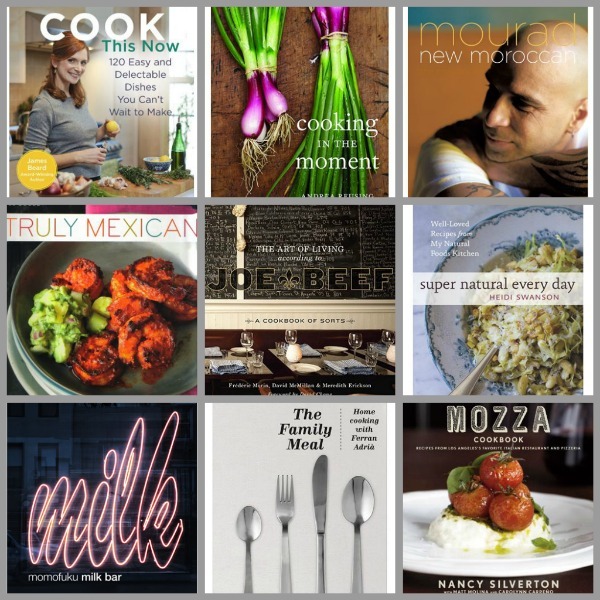 Trying to decide which well reviewed cookbooks of last year to actually buy in ink and paper? I suggest you take recommendations from Ina, Nigella and Alice (Waters!!) over at Food52’s The Piglet Tournament of Cookbooks. Football fans have their fantasy drafts and basketball fiends have March Madness. But what do the chefs and cookbook nerds have? 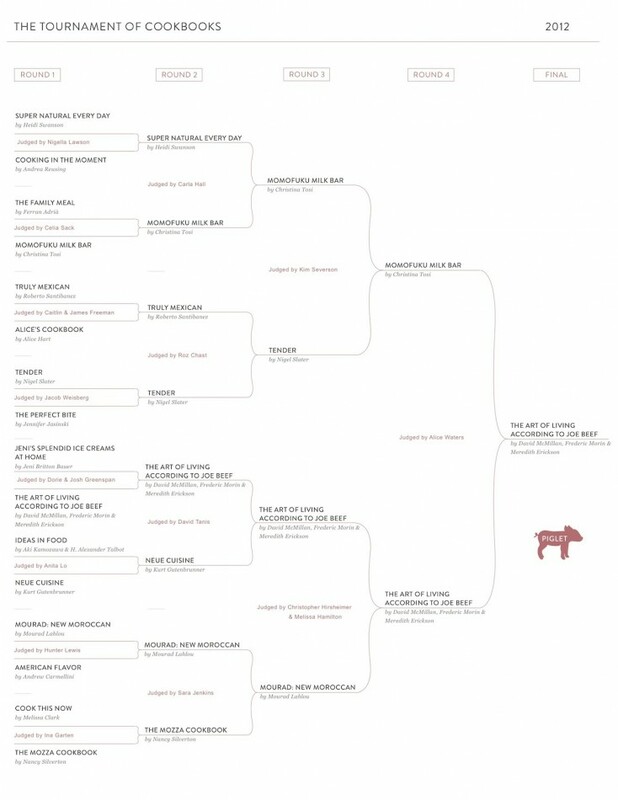 The Piglet Bracket! The winner may already be announced (The Art of Living According to Joe Beef) but that doesn’t mean you can’t learn lots about the contenders. My favorite Top Chef alum Carla Hall weigh the merits of Super Natural Every Day vs. Momofuku Milk Bar. Word on the street is that Ina did a lazy job comparing The Mozza Cookbook vs. Cook this Now but judge for yourself. Definitely read Nigella’s review! She did a great job.